Teijin Chemicals Ltd., Japan, announced that the specialty polycarbonate resin developed by the company Panlite is used for the windows of N700 line, the next-generation Shinkansen bullet trains. 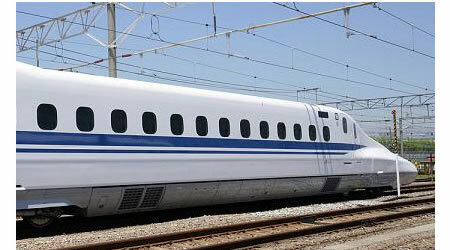 Central Japan Railway Co. will begin a commercial service of N700 line on July 1, 2007. Panlite is a polycarbonate resin that was first commercialized in Japan by Teijin Chemicals. This product has many outstanding characteristics such as high impact strength, heat resistance, dimensional stability, electrical properties, transparency, and sanitary properties. 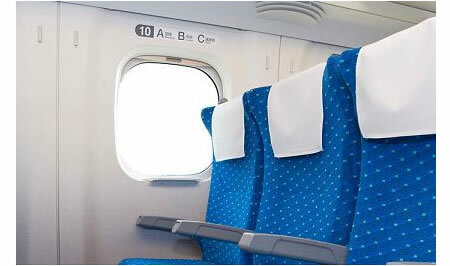 Teijin Chemicals will supply about 20,000 sheets for the windows of the normal seat cars to Central Japan Railway. Traditionally, the windows of Shinkansen bullet trains are made of composite glass, double-glazed glass to which a specialty polycarbonate sheet is attached to increase durability against flying stones and others. By using only the specialty polycarbonate sheet, the amount of the materials needed for a window is reduced by about 50 %, compared with traditional products, and the mass per unit area is reduced by about 30 %. Also, its durability is the same or more than conventional products. The distortion of the see-through view is reduced by the injection press molding technology of the company’s plastics technical center in Chiba, Japan.